Energy and Resources Group (ERG) and Renew­able and Appro­pri­ate Energy Lab­o­ra­tory (RAEL) students presented five posters and several talks and were engaged in a series of conference sessions and side-events at the International Scientific Conference “Our Common Future under Climate Change” (CFCC15) from July 7 to 10, 2015 in Paris, France. 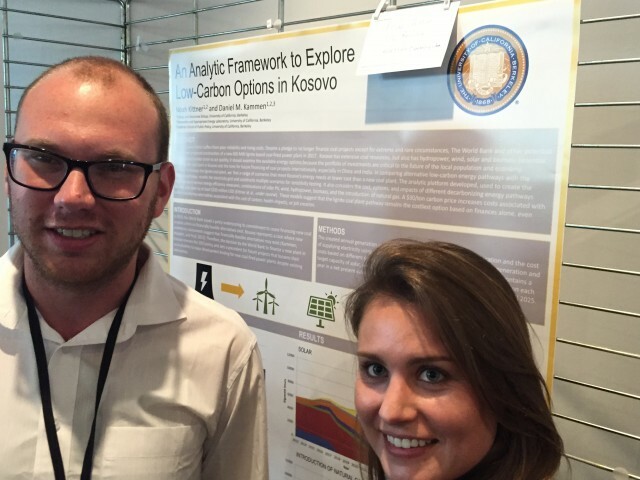 ERG PhD candidate Noah Kittner (MS’15) presents his poster on “An analytic framework to explore low-carbon electricity options in Kosovo” with fellow ERGie Valeri Vasquez at Our Common Future #CFCC15 in Paris. 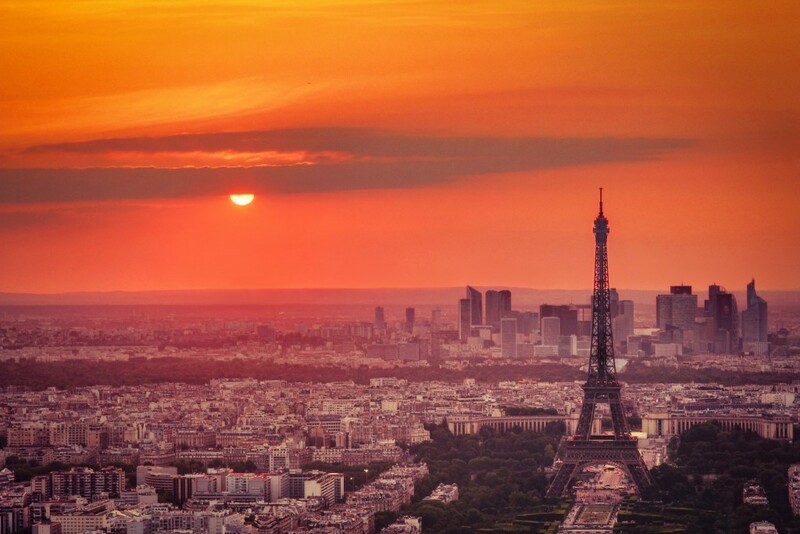 The four-day conference was the largest forum for the scientific community to come together ahead of the 21st UNFCCC Conference of the Parties (COP21), which will be hosted by France in December 2015 (“Paris Climat 2015”). The scientific conference “Our Common Future under Climate Change” (CFCC15) covers the full landscape of scientific knowledge on climate change. The largest international science conference before the Paris COP21, with close to 2,000 participants from almost 100 countries, CFCC15 explores current understanding of all dimensions of the climate change challenge plus the full range of mitigation and adaptation options that can lead to sustainable, equitable solutions across all nations and regions. Read the full Outcome Statement of the conference here. 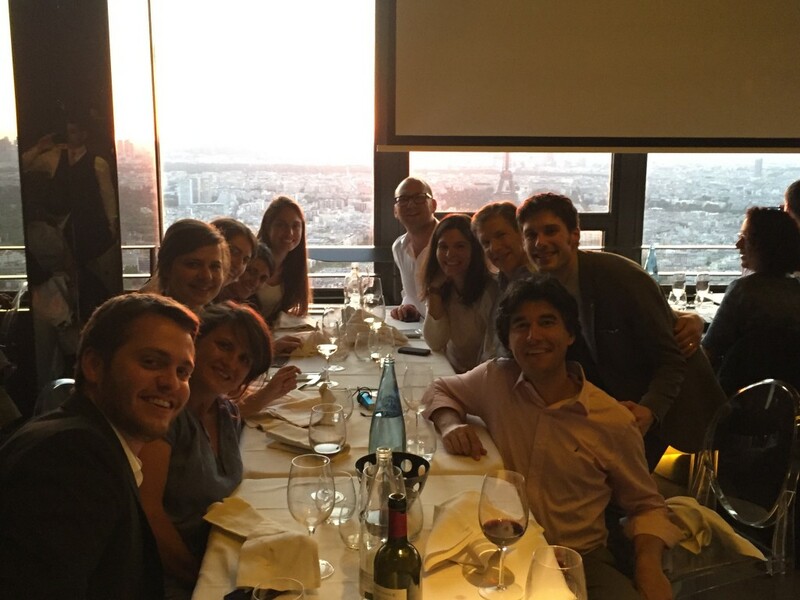 ERGies and RAEL members have dinner in Paris with special guests CMU Engineering and Public Policy Associate Professor Ines Azevedo and co-founder of Fractal, an NGO based in Serbia, Ana Rankovic. See more photos from Paris on the ERG Facebook page here. Next post: Obama’s Clean Power Plan is finally out, but scientists say the work’s just begun.